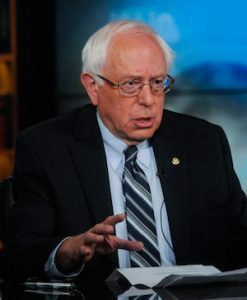 Boulder Reporter » What next for Bernie and his email flock? What next for Bernie and his email flock? Bernie Sanders’s best-case scenario would have seen him winning the nomination and beckoning enough Millennials into the voting booth to recapture at least the Senate for progressives. Now that this dream has faded, what’s Plan B? It’s highly unlikely that Sanders and his team will make the same mistake Obama’s team made when they basically disbanded his grassroots army of volunteers, first called Obama for America and then renamed Organizing for America, which had been important to Obama’s election victory. Fresh off the campaign, the group boasted 13 million e-mail supporters, 4 million donors, 2.5 million activists connected through the My.BarackObama social network and a phenomenal $18 million left in the bank. … Obama and his team hadn’t simply collected millions of e-mail addresses, they had networked activists, online and off — often down to the street level. By the end of the campaign, Obama’s top foot soldiers were more than volunteers. They were seasoned organizers, habituated to the hard work of reaching out to neighbors and communicating Obama’s vision for change. The platform became largely inactive except for two brief and failed efforts, one to influence a Massachusetts Senate race and one to chime in on healthcare legislation. I personally remember being called to a meeting in Boulder, held in a furniture showroom on Pearl St. shortly after Obama’s election, to which local activists in Obama for America had been summoned. To my great surprise, the message delivered was essentially, “Sorry, folks, the higher-ups haven’t told us what to do next.” As the meeting ended, I was dismayed to see this asset being essentially demobilized. Not using OFA more aggressively in support of Obama’s professed progressive objectives was perhaps an ominous sign of what Obama’s presidency would turn out to be: centrist rather than progressive. In their defense, another factor might be that the early-days Obama White House was highly distracted rescuing the world economy from imminent collapse. President Obama may well keep OFA intact after he leaves office. With its state of the art digital platform, 30 million e-mail addresses, 3 million donors and 2 million active participants, OFA 4.0 could continue to be a useful ally to progressive politicians and causes. … If this is OFA’s future, President Obama, with the help of his ‘family,’ could remain a central player in American politics for years to come. The future of Obama’s OFA platform is uncertain. Also uncertain is what strategists of the Sanders movement will do with their legions of committed followers and their email addresses. Stay tuned. NEED CHEERING UP? Then go enjoy Cenk Uygur’s Youtube video reassurance that time is on our side, and that the reforms Sanders had the guts to stand up for will prevail by 2020. Wish I could say it so well. — Ed.